Season is over and I will upload the season rewards card opening. How was the season for you? 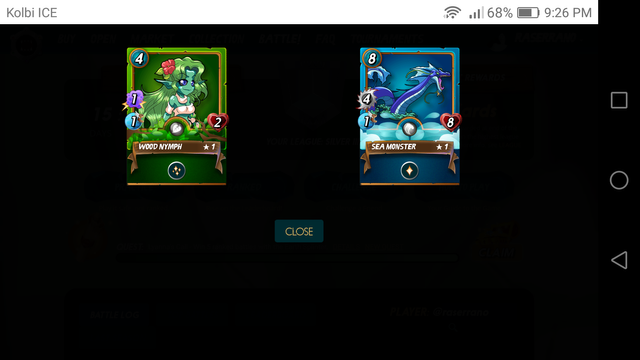 Sea monster is one of my favorite front liners, next to goblin mech. A great tank that heals and deals good damage? If only I could use 2 in a deck!! Edit: I've only been playing a week, and hit Silver II (1306 iirc), loving it!!! Your UA account score is currently 3.969 which ranks you at #3964 across all Steem accounts. Your rank has improved 53 places in the last three days (old rank 4017). In our last Algorithmic Curation Round, consisting of 246 contributions, your post is ranked at #50.